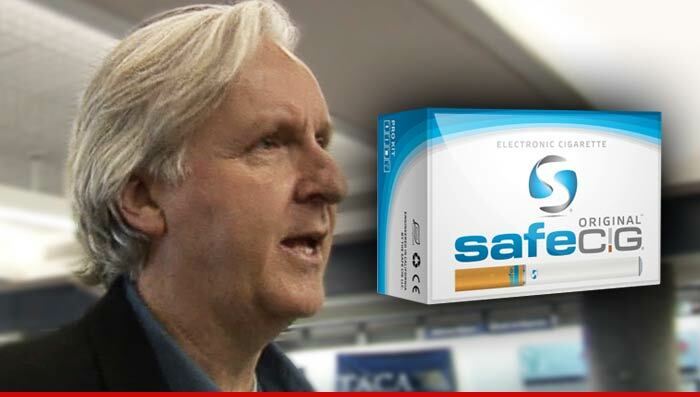 James Cameron has been roped into a billion dollar lawsuit over an e-cigarette company that was allegedly mismanaged by his brother ... and the founders claim James helped deliver the death blow. According to a new lawsuit, the 3 founders of a company called Safe Cig claim they were sold a bill of goods by John David Cameron, James' brother, when he came to work for the company in 2011. Instead of opening doors with "the Cameron name," the Safe Cig founders claim Cameron wasted millions of dollars on trips, booze, unneeded employees and bulletproof glass for his office ... eventually running the company into the ground. Here's where James comes in ... the founders claim in their suit John tried to wrestle away controlling interest in the business by intentionally defaulting on a loan the company received from none other than James. The suit claims the 2 brothers were up to no good. The suit seeks ONE BILLION DOLLARS. We reached out to James Cameron's rep ... so far no word back.